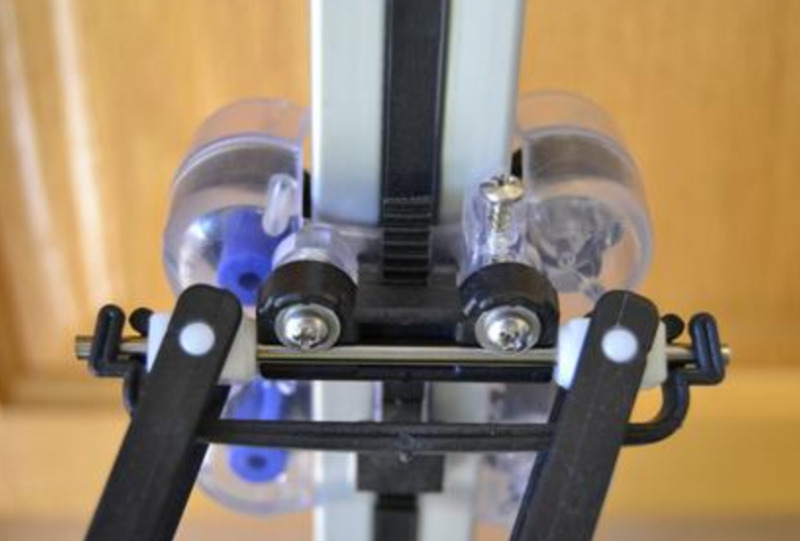 If two extra holes were added to the PCB Carriage Adapter to match the plastic barbel arm mount the v3 Rostock Max uses, would that allow easy cross-compatibility without negatively impacting the design for people using linear rails? If I drilled holes myself would I be able to get them accurate by hand or should I try making a 3D printable adapter so I don't break anything? I've never seen a SeeMeCNC Rostock. Can you post a photo of the carriage? You can try drilling the holes yourself, but you need to get them accurately level. If you get it wrong then I guess you can still print an adapter. I'm not sure if these are all the same spacing, but the ball cup axle fits on two screws mounted to the carriage. First two photos are the version 3 Rostock (the trick laser carriage as well) and the last is perhaps the v2 that didn't use ball cup joints. 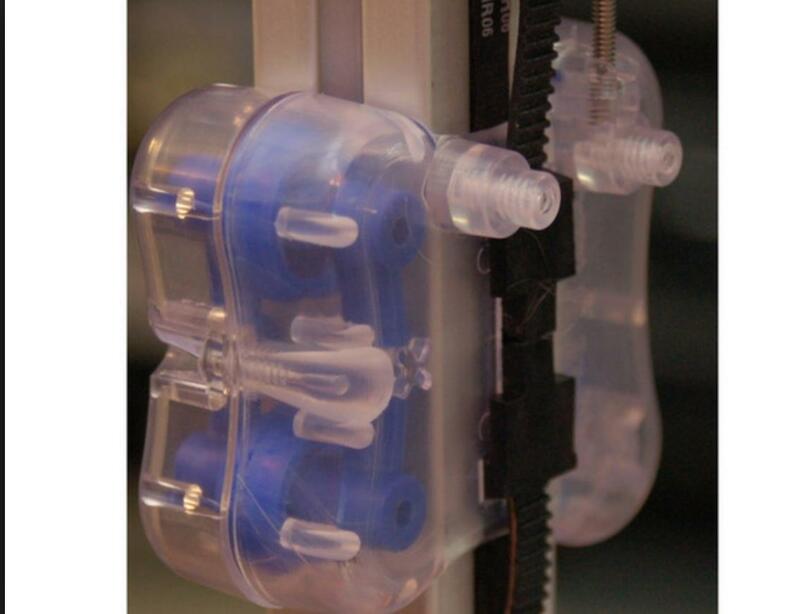 I would print the adapters if using the 1st or 3rd pictured trucks/carriages. With the aluminum, I'd drill. What is the separation between the two screw holes in the barbel arm, and what size screws are they? Per the files on github, the carriage ball joint holes are 24.125mm center-to-center, and 6.35mm inner diameter. They use a #4 screw to mount to the bosses. Pondering this a bit, would it be best to have the adapter plate holes large enough to pass over the bosses? Otherwise the barbell arms will be able to shift around. 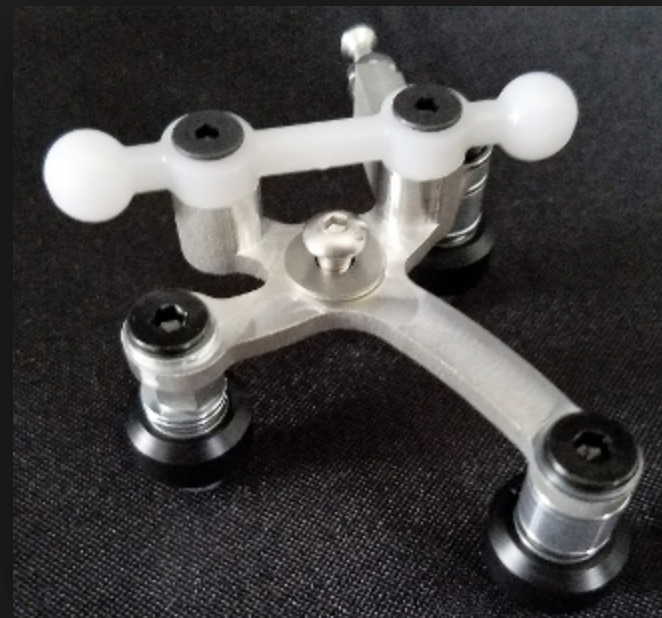 Edit: I got off track there, thinking of how to mount the ball joint arms (with barbells) to the adapter plates, rather than the OP's question of mounting mag arms to the SeeMeCNC carriages. The barbells are 70855 Carriage Ball Joints; mounting side of the carriage is 70852 Carriage Inner. I'm not familiar with that setup so no idea, but I do know the pcb material can be drilled out accurately with a conical dremel bit, as I made the m3 holes m5 to match my open builds carriages. Saffi, did you end up drilling out the carriage adaptop PCBs? do you have a picture of how you mounted them in the end? Looking to get more made and will add appropriate holes if it does not affect the rest of the carriage adaptor. Thanks for sharing your design. 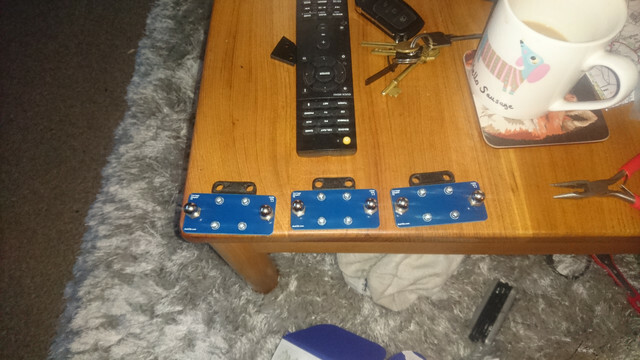 For the carriages adaptors (not the effector) I was looking into adding two more holes so that an further adaptor would not be needed for the rostock max. I've just printed some adaptors for the Rostock. I'll upload when I'm at my pc. Would it be sufficient to drill two additional holes in the PCB, one either side of the centre? Can you give us the spacing between the holes, and the size of the screw that goes through them? I'll measure up when I get home tonight but I think its a 3mm screw with a flange. It will work drilling two holes but I don't know just how stable it will be. Thanks. Why might drilling two holes be less stable? Looking at the photos I think that they use a spigot for the Barbell to locate on and then the screws just to hold in in place. I think with just the 2 mounting screws in the middle whether the carriage would have a tendency to rock causing hight variations. It might have the potential to rock as mentioned as Its only secured in 1 plane. Just a passing thought really. I'm pretty sure it will be OK. The holes could be large enough to fit over the bosses, and a small block could be printed to fit over the bosses. It would be tall enough to just slightly raise above the bosses with the adapter plate in place, so that the screws (with washer) would sandwich the adapter plate in place.